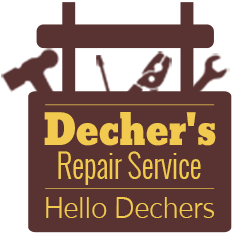 Thank you for your interest in Decher's Repair Service. Please reach out with questions or comments about our general appliance repair in Albany, NY, using the information below. Our appliance technician looks forward to hearing from you. Monday - Sunday Call Hours: 8:00 a.m. - 9:00 p.m.
Monday - Friday Work Hours: 8:30 a.m. - 5:00 p.m.
Saturday Work Hours: 8:30 a.m. - 1:00 p.m.